Written in a lush, lyrical style, infused with the flavors and scents of Middle Eastern food, and spiced with history and fable, Crescent is a sensuous love story and a gripping tale of risk and commitment. The reading guide includes a number of recipes to share with friends and family! An Arab-American novel as delicious as Like Water for Chocolate. Praised by critics from The New Yorker to USA Today for her first novel, Arabian Jazz ("an oracular tale that unfurls like gossamer"), Diana Abu-Jaber weaves with spellbinding magic a multidimensional love story set in the Arab-American community of Los Angeles. Thirty-nine-year-old Sirine, never married, lives with a devoted Iraqi-immigrant uncle and an adoring dog named King Babar. She works as a chef in a Lebanese restaurant, her passions aroused only by the preparation of fooduntil an unbearably handsome Arabic literature professor starts dropping by for a little home cooking. Falling in love brings Sirene's whole heart to a boilstirring up memories of her parents and questions about her identity as an Arab American. Written in a lush, lyrical style reminiscent of The God of Small Things, infused with the flavors and scents of Middle Eastern food, and spiced with history and fable, Crescent is a sensuous love story and a gripping tale of risk and commitment. 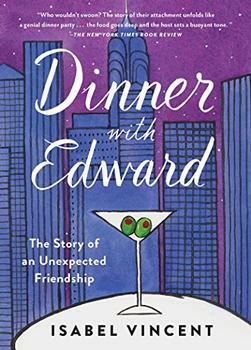 Discussion Questions & Recipes to Share With Your Book Club! Most love stories cast very young women as the "love interest," or else they feature older married women looking for an escape. The protagonist of Crescent, Sirine, is thirty-nine and unmarried. Do you think the author chose this age and situation deliberately? Why? Did it surprise you? What does it imply for the rest of the story? hat the author is a woman? A pleasing hybrid of Like Water for Chocolate and Haroun and the Sea of Stories. Crescent is a rich, delicious concoction that has you rooting for the star-crossed lovers. Radiant, wise and passionate ... a book written by an author who never for an instant relinquished her grip on this willingly enchanted reader. [A] lovely tale ... an urgent mix of Scheherazade-style storytelling and treatise on the loneliness of exile. Abu-Jaber's voluptuous prose features insights into the Arab-American community that are wisely, warmly depicted. Exquisite ... Readers stuffed on headlines but still hungering for something relevant will enjoy this rich meal. Wise, spirited, and evocative, this work offers an ardent look at the human side of political cant. 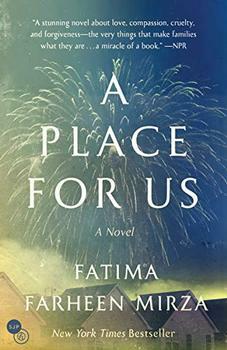 [A] beautifully imagined and timely novel. Starred Review. Abu-Jaber's language is miraculous ... It is not possible to stop reading. A powerful story about the loneliness of exile and the limits of love. An impressive second outing by Abu-Jaber. It is a story about how to cook and how to eat, and how to live in the new country. And, like all good novels, it is about how to tell a story. Lush, poignant, and searing ... unfolds with all the startling beauty of a hidden garden. Abu-Jaber affirms the precious fragility of life, love, family, and the human community in meaningful ways. Abu-Jaber is a high-spirited, magnificently graceful storyteller, a poet of deliciously fluted fiction, character, and culture. Romantic, whimsical and wonderful in every way, being both sensuous and smart. I want to hang out all day at Nadia's Cafe. Every word and image earns its place in this intelligent and affecting novel by Diana Abu-Jaber. A must-read. Middle Eastern culture shining through at its fullest.